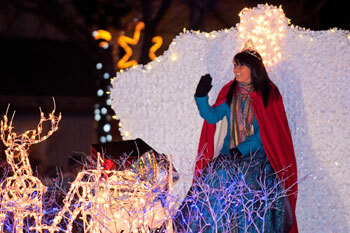 Bring the family to Ludington's Aglow on the Avenue Parade. 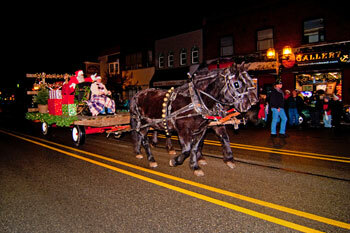 This is a great way to kick off the holiday season and welcome Santa to town! The event is generally held the Saturday after Thanksgiving and coincides with the Small Business Saturday "Shop Locally" promotions, when most stores downtown are open for holiday shopping from 11am-7pm. You can select your tree from the Christmas Tree Lot downtown, enjoy a holiday craft show at the Art Center, and visit with Santa after the parade at Sandcastles Children's Museum. 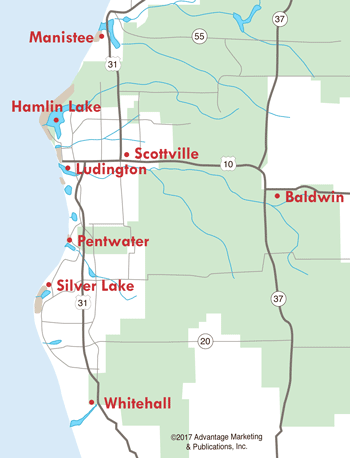 The Aglow on the Avenue Parade and activities are presented by the Ludington & Scottville Area Chamber of Commerce, in conjunction with the Downtown Ludington Board. 10am - Singletrack Showdown. 15 mile bike race. Check back later for information on the 2019 Christmas Festivities in Downtown Ludington!